A great new selection of printable coupons became available for February on Coupons.com and several are higher values than what you would find in the Sunday newspaper coupon inserts. Go check it out or use the black Quick Print on my left sidebar. Printable coupons are a great way to save money. If you are new to printing coupons, please read Printable Coupon Help for some tips. Remember that after you print your coupons you can go back and print them a second time! If you have some favorite coupons that you printed last month, you should be able to print them again because they also reset the print limits with the start of the new month. Please note that the selection of coupons may vary slightly based on your zip code. I have not been able to get the coupons.com, quick print coupons to actually print. Says internet explorer can not open. Any idea why?J.K. 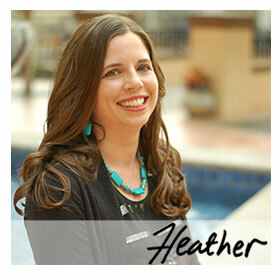 Hey Heather,I love reading your blog on a daily basis. I just wanted to give you a litte heads up about the music though. It cuts in and out and drives me crazy. Not trying to be mean in anyway but it is somewhat distracting when you are reading. Right now there is none sound coming out at all. Just thought I would share my thoughts. Thanks for all the tips, tricks, sweeps and coupon heads up. Have a great Day.